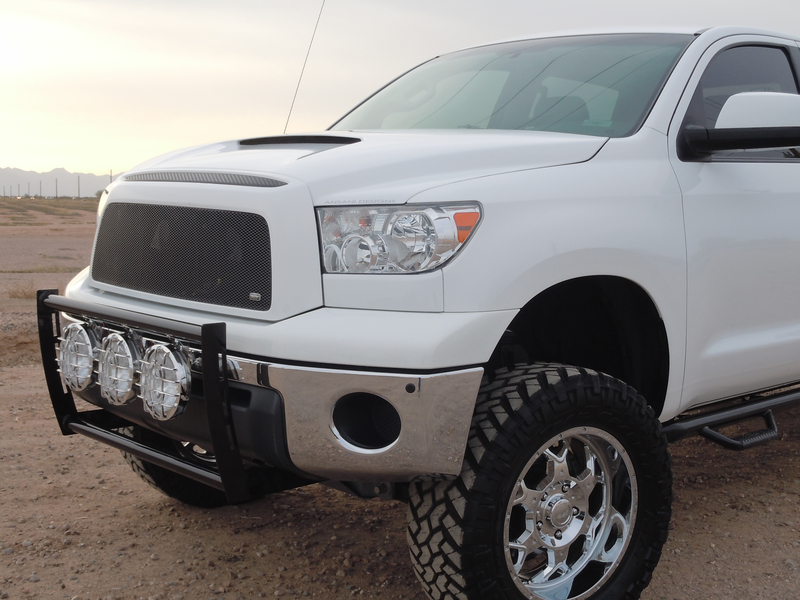 For 2007-current Tundras, Ansani Designs now offers a bolt-on light bar. It’s made with 1/4-inch-thick upright plates and 2 x .120-inch round tubing. The bar has three tabs with 1/2-inch holes and clearance for 8-inch round lights (KC Rally 800s shown, sold separately). The Tundra Light Bar is finished in gloss black powdercoat. Installation is bolt-on, using existing holes. For more information, contact Ansani Designs, 480-584-6292,motorsports@ansanidesigns.com,www.ansanidesigns.com.